As Squamish Mortgage Brokers, Team Kelly is pleased to be part of the Xeva Mortgage network. We have access to a wide range of lenders that will be competing for your business therefore offering a variety of products for you to choose from and the best interest rates possible. As a member of the Xeva Mortgage Team we have access to more than 40 lenders including Canada’s largest banks, Credit unions, Trust Companies and private lenders. We give you unbiased advice and take the time to go through all your financing options. Team Kelly will make sure you get the best mortgage available for your needs. We work for you, not the banks. We are also Mobile Mortgage Specialists, this means that we bring all for the fantastic services that a mortgage broker provides to you, where it best suits you! Looking for the best mortgage rates & agent in Squamish, BC? Contact Team Kelly today! The town of Squamish is located in the beautiful province of British Columbia, north of Vancouver and south of Whistler! It has a population of 19,512, which means that the town is a close-knit community! It has its beginning thanks to the Pacific Great Eastern Railway, in the 1910s. Located an hour away from Whistler and Vancouver, it has become an attractive option for people who are looking to be close to the two cities, but not have to pay the high real estate prices. In the last quarter of 2017 the average house price was $731,371, and the homes spent a median of 42 days on the market. The yearly increase in the average house price was 34%, and the selling to listing ratio was 99%! After seeing historic years in 2016 and 2017, the housing market will come back down to the historical average. I make sure to keep up mortgage news and on and rate changes on a regular basis. Squamish Mortgage rates are expected to rise modestly over the period 2018-2019. 5-year mortgage rate is expected to lie within the 4.9%-5.7% range in 2018. Of course, as a Squamish Mortgage Brokers, Team Kelly is here to help you every step of the way, and to find you the perfect mortgage and loan solution for your situation. 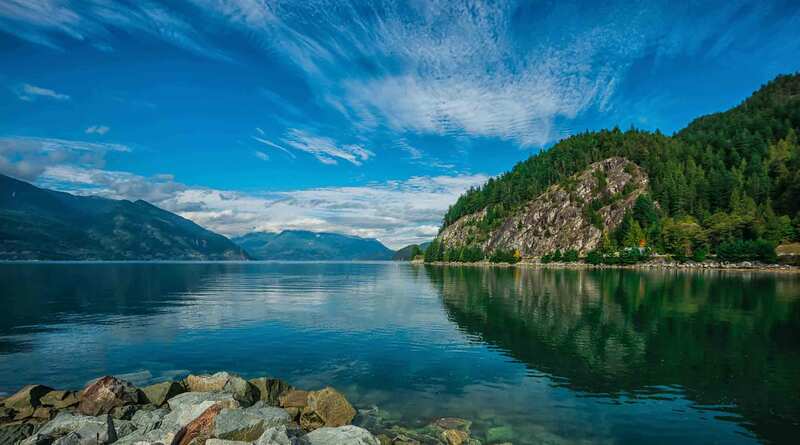 Squamish is situated on the scenic Sea to Sky Highway between the largest city in British Columbia, Vancouver and the ski resort town of Whistler. The town is surrounded by a spectacular mountain backdrop and located within a temperate rainforest. A strong, vibrant and healthy community, it is envied for its wide range of recreational activities. It offers world class trails, rock climbing, proximity to the ocean and abundant wildlife, which make it an outdoor person’s dream! A diverse arts and culture scene is growing here and the town is home to many photographers, filmmakers, musicians and singers entertain on a regular basis. Squamish is recognized as the Outdoor Recreation Capital of Canada because of the never-ending outdoor activity options available here! For the outdoor sports enthusiasts there is ski resorts in the surrounding area, with Whistler Blackcomb being a world-famous ski resort. Down the coast there is also great opportunities to learn to surf or just relax on the beach! In nearby Vancouver you can watch two major sports teams and join in on the excitement! The Vancouver Canucks of the NHL, who’s schedule can be found here. The Vancouver Whitecaps who’s schedule can be found here.